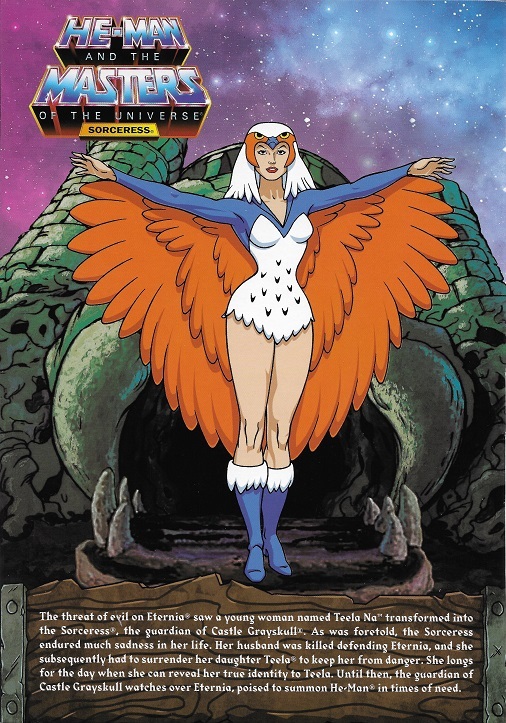 The threat of evil on Eternia saw a young woman named Teela Na transformed into the Sorceress, the guardian of Castle Grayskull. As was foretold, the Sorceress endured much sadness in her life. 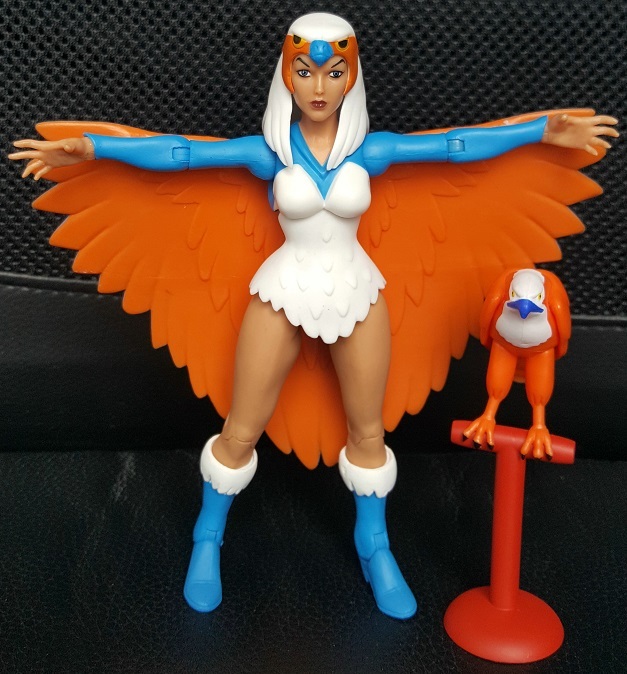 Her husband was killed defending Eternia, and she subsequently had to surrender her daughter Teela to keep her from danger. She longs for the day when she can reveal her true identity to Teela. Until then, the guardian of Castle Grayskull watches over Eternia, poised to summon He-man in times of need. If you want to comment this character, send an e-mail.